I always used to say that I hate the color yellow. Up until Friday, I didn´t have a single piece of clothing in this particular color in my closet. 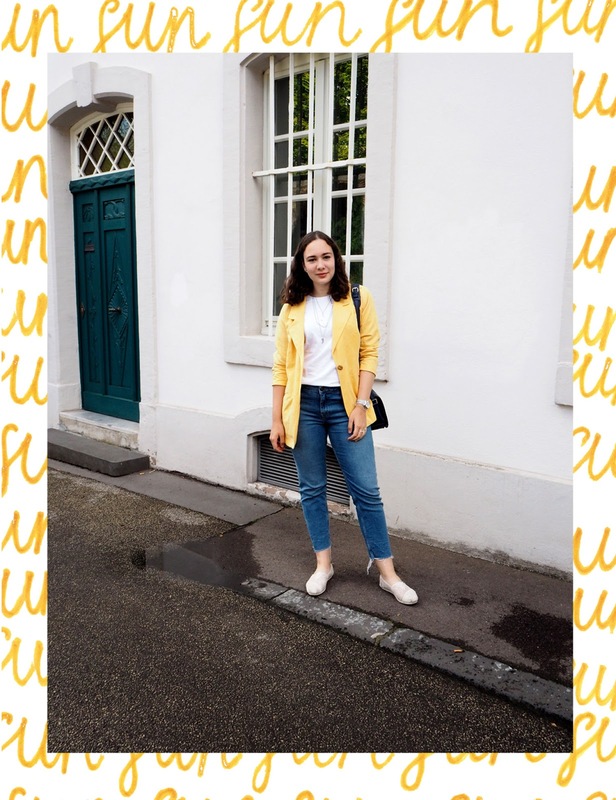 Earlier this year, I already talked about the color yellow (in this post) and how I would like to try it out. 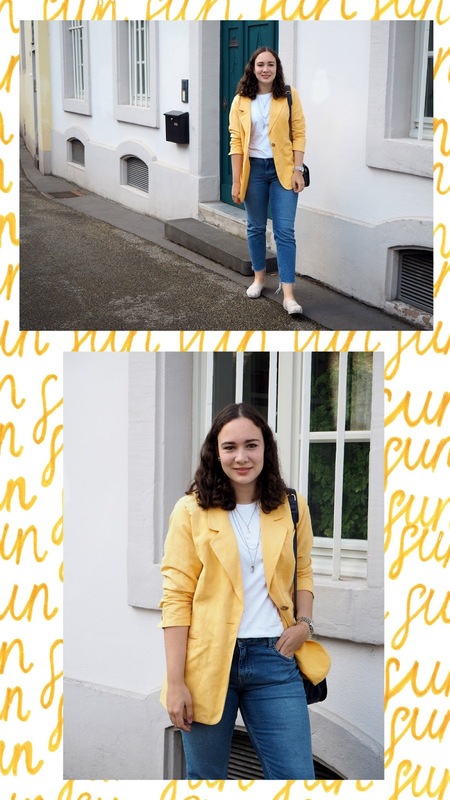 You can spot quite a few yellow pieces in stores right now, so I guess I am not the only one who decided that yellow is not so bad after all, right? I love Lizzy Hadfield from the blog Shotfromthestreet and last year, she bought this amazing blazer in a similar color like mine. Already last year, I loved the look of it together with black and white, but I wasn´t brave enough to get something similar until last week. 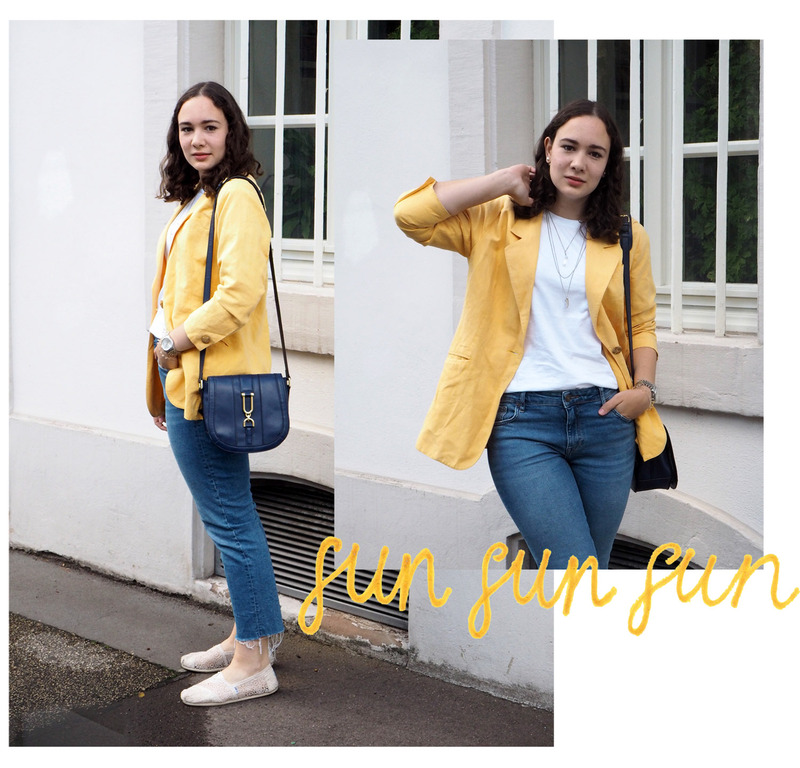 Since I didn´t want to spent a fortune on a piece I might only wear once or twice (because I might decide that yellow wasn´t for me after all), I browsed Kleiderkreisel (a second-hand website in DACH) and finally found this light-weight blazer in beautiful sunshine yellow. It fits a bit oversized, but that´s exactly how I wanted it to be. When my mom and brother saw this blazer, they both asked me whether this was the blazer of one of my aunts (and to be honest, she isn´t the most stylish), so I couldn´t take this as a compliment, but I like the look of it - especially together with my straight-leg jeans, lace espadrilles and a simple white tee. What do you think about the color yellow in general and how do you like this look? Dankeschön! Ich war mir auch nie sicher ob mir gelb überhaupt steht, aber mit diesem Gelbton hatte ich echt Glück. Yellow adds such a great pop of color to any look! Ich finde den look super schön. Der Blazer setzt super schöne Akzente. 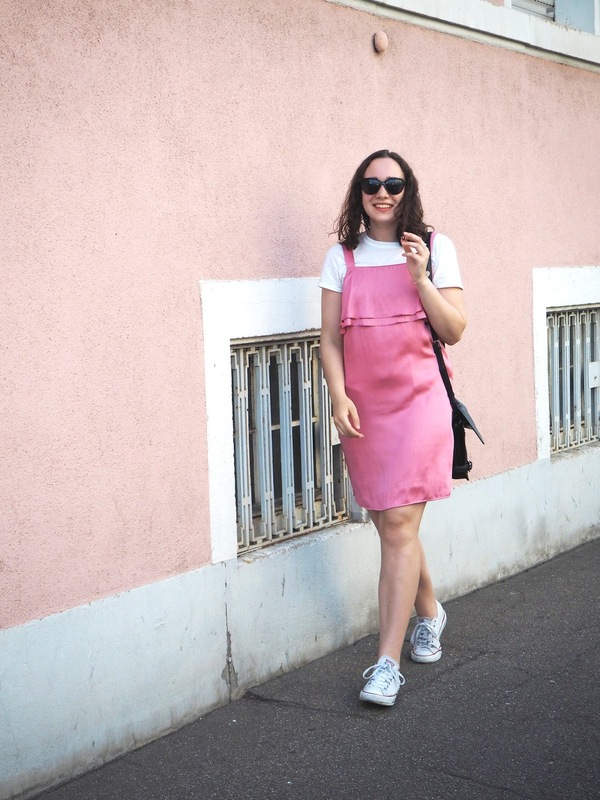 Na wenn dieser Look nicht nach Sommer und Sonne schreit! Generell gefällt mir deine Outfitkombination sehr gut! Oh ja, wenn es eine Farbe gibt, die nach Sonne schreit, dann ist es wohl gelb. Perfekt um den Regen letzte Woche gekonnt zu ignorieren. Yellow looks so good on you, you should wear it more often! And yes, I will defenitely wear yellow more often.